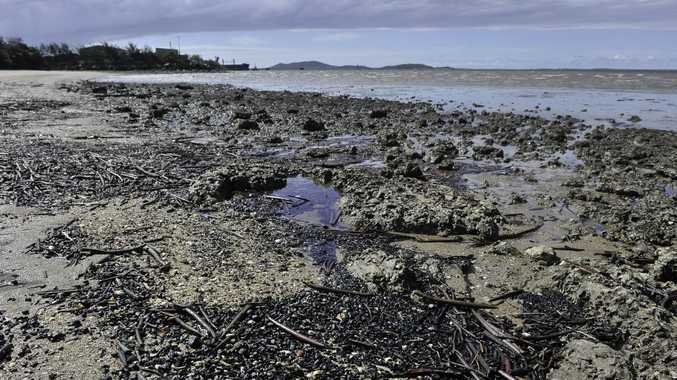 GLADSTONE has the state's dirtiest beach. Barney Point Beach earned the title thanks to the amount of plastic bags, plastic bottles, smoke butts and other rubbish washed up on it shores over three years. CSIRO released the data based on research on marine debris found on beaches across Australia. It was a disheartening announcement for Mayor Gail Sellers, who urged the community to remember implementations were in place to ensure the optimum health of our waterways. "I am very disappointed to hear that," she said. "We have parks staff who visit and clean Barney Point daily, and we also have a draft study on illegal dumping and littering due out in the latter stages of the year." LMAC member and CQ University Research Fellow Dr Scott Wilson has previously stated that plastics remain one of the five major marine pollutants causing harm to marine environment and animals. "In a recent study, 22% of shearwater chicks were found to have plastics in their stomachs," he said. "Plastic bags, bottles, ropes and nets trap, choke, starve and drown many marine animals and seabirds around the world every year." For local environmentalists, the message remains positive. They say that people can make a difference and it is about what every person can do to rectify the dirty label. Jodi Jones, regional co-ordinator from Conservation Volunteers said to be mindful as a consumer of the simple things that make a huge difference. Beaches were sampled at 100km intervals by two CSIRO researchers, with Barney Point tested in the late months of 2011. The team, led by Dr Britta Denise Hardesty of the CSIRO Wealth from Oceans Flagship, undertook the vast study, investigating the threat posed by marine debris to Australian wildlife and ecosystems. Barney Point beach was chosen at random, as was the specific sampling location, but was exactly 100km from the previous sampling location. Dr Hardesty said the study was comprehensive and highly reliable. "We take great care to ensure every aspect of our research is unbiased," she said. "Barney Point beach had the highest number of debris items found on the beach compared to all other locations in Queensland." CSIRO released the data on Friday from a three-year scientific study to research marine debris at beaches across Australia.